Chief of Army Staff General Bikram Singh said here on Sunday that the Army would run homes for elderly ex-servicemen, who do not have anyone to look after them in their old age. “We have prepared a new scheme under which we will open old age homes in every Command. The first such experiment is being tried out near Chandigarh in Panchkula where we are setting up the first such old age home. 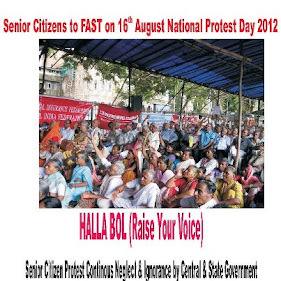 We shall see how we can run it,” General Singh said at a veterans rally. The Army Chief said that it was not possible to run such facilities for free, but the ex-servicemen who wished to live in these homes could use their pensions to pay for the services. General Singh was particularly appreciative of the efforts of the West Bengal government for its role on matters related to ex-servicemen welfare. “In matters of ex-servicemen welfare, the State government has a special role. I wish to say that the Indian Army has received all cooperation from the West Bengal government in these matters,” said General Singh, who served as the General Officer Commanding (GOC) in charge of Eastern Command before he took over as the Chief of Army Staff in May last year. He recalled his meeting with Chief Minister Mamata Banerjee before he left for New Delhi to assume office. 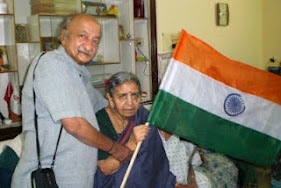 “I had noticed she [Ms. Banerjee] has a special love and concern for the Indian Army. You must have noticed that this is why the West Bengal administration and its officials have a special consideration for us,” he said. Despite General Singh’s high praise for Ms. Banerjee, there have been differences between her government and the Army over the project for the beautification of the River Front in Kolkata. He, however, said that the GOC of Bengal Area Lieutenant General A. K. Chowdhury was coordinating with the West Bengal government on the matter.